The New York Giants appear to be ever so confident in quarterback Eli Manning heading into the 2019 season. Go figure. So confident that co-owners John Mara and Steve Tisch have not ruled out the thought of Manning playing beyond the 2019 season. These comments are anything but a hard pass on Manning returning in 2020. If this ended up being the case, the Giants would have to extend Manning’s contract since it is up after the 2019 season. Even more baffling is general manager Dave Gettleman saying Manning had a “heck of a year” in 2018 and appearing to be content with his quarterback situation at the present moment. That is not exactly what the rest of the world witnessed in 2018 with Manning struggling to complete long passes downfield. 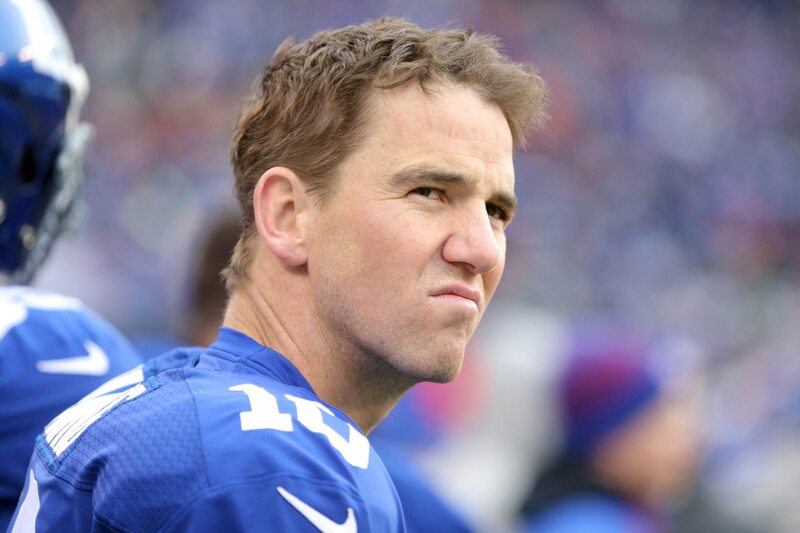 Now, to prove himself worthy of starting this season and perhaps beyond, Manning will be without his former No. 1 wide receiver, just for starters. Let’s just see how well that goes once kickoff rolls around in September. Meanwhile, Giants fans have the right to go pound pillows and vent their frustrations.